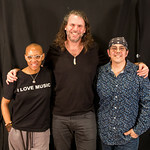 On this special FUV Essentials edition of FUV Live, a roundtable conversation with Gail Ann Dorsey, Mark Plati and Tim Lefebvre, three musicians who played with David Bowie over the course of the last twenty years, both on the road and in the studio. 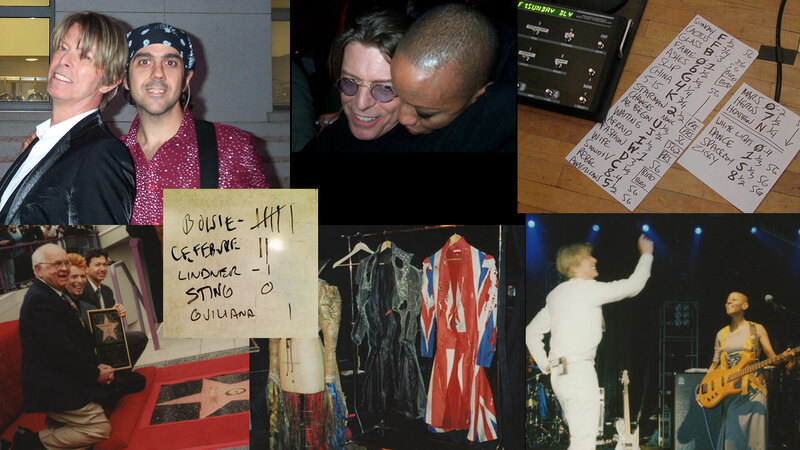 Bassist and guitarist, Gail Ann Dorsey began her long friendship and collaboration with David when he asked her to be part of 1995’s Outside tour with Nine Inch Nails. She traveled with David for every tour after that, including the long Reality outing—about 112 shows—which ended abruptly 2004 when he suffered a heart attack. Gail was also in the studio for his 1997 electronic-leaning album, Earthling, and 2013’s The Next Day—and notably sang “Under Pressure” with David on the road and on the live Reality tour album. Guitarist, bassist and producer Mark Plati co-produced the Grammy-winning Earthling with Bowie and Reeves Gabrels. He toured extensively with David beginning in 1999 on the Hours tour, as musical director, guitarist and bassist, and eventually the Heathen tour, which included the live execution of the complete Heathen and Low albums on the road. 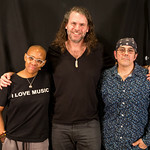 Finally, bassist Tim Lefebvre, part of Donny McCaslin's jazz quartet, joined his bandmates in the studio for David's final album, Blackstar, recording in secret at the Magic Shop recording studio in early 2015. 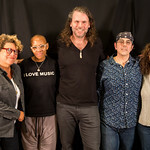 FUV’s Kara Manning joined me for this poignant conversation with Gail, Mark and Tim in Studio A, recorded just two months after David’s passing. Listen below to discover more about David’s genius, his work ethic, his humor, and his profound affect on the musicians in his sphere.